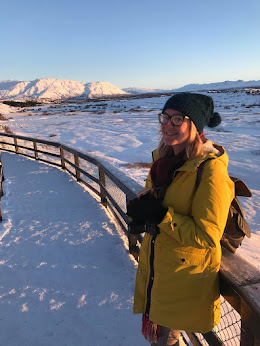 We arrived at Thingvellir National Park just as the sun was rising and it was beautiful! It was a lovely experience really as just the night before we had gotten engaged in that very park so it was nice to see it was just as beautiful in the light of day as it is under a sky full of stars. We walked around the park with our tour guide and found out lots of interesting information about the park. Thingvellir has been a National Park since 1930 and was named a World Heritage Site by UNESCO in 2004. When the Viking settlers arrived in Iceland in the 10th Century it was the site they chose as the meeting place of the Althing, the world's oldest parliament. Another interesting fact that I didn't realise until I arrived home yet can see it so obviously now, a part of the park which we walked through was actually a filming location on Game Of Thrones. 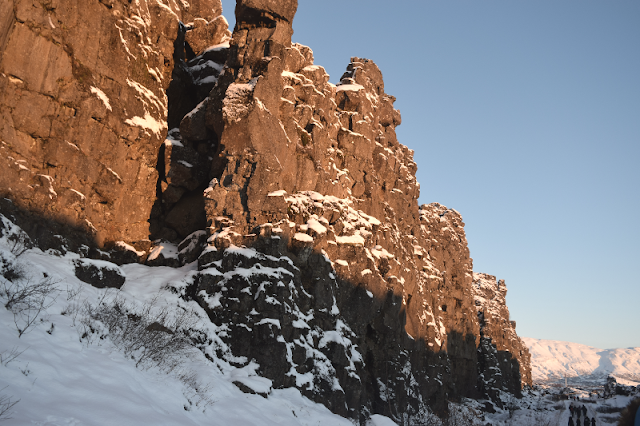 The pass to the Eyrie which was where the fight between Brienne and the Hound took place is actually filmed in Thingvellir National Park. I had already said that if we return I would love to do the tour which takes you to the different Game Of Thrones film locations as Iceland was used for most of the filming for beyond the wall in the show. 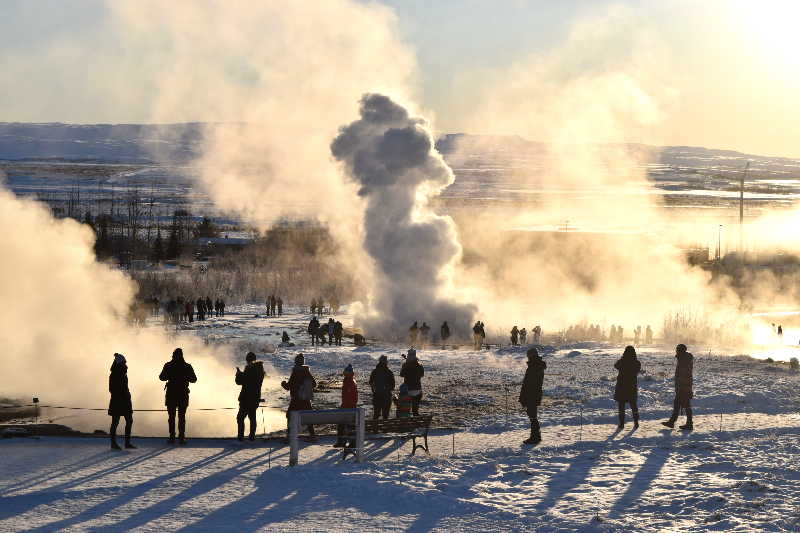 The next stop on the tour was the Geysir Centre and geothermal area. The Geyser pictured above is named Strokkur. It is one of Iceland's most famous geysers erupting once every 6-10 minutes shooting water up to 30m (100ft) into the air. The geothermal field is full of boiling mud pits and exploding geysers. It was really interesting to see and it didn't matter how many times I watched, I jumped out of my skin every time the geyser erupted. The area does have a pretty funky smell though. As well as the geysers, there is also a centre full of restaurants and tourist shops. We were given about 2 hours here in total so had plenty of time to explore. The area was very busy but we had a lovely lunch in one of the restaurants before heading for the next stop on our tour. 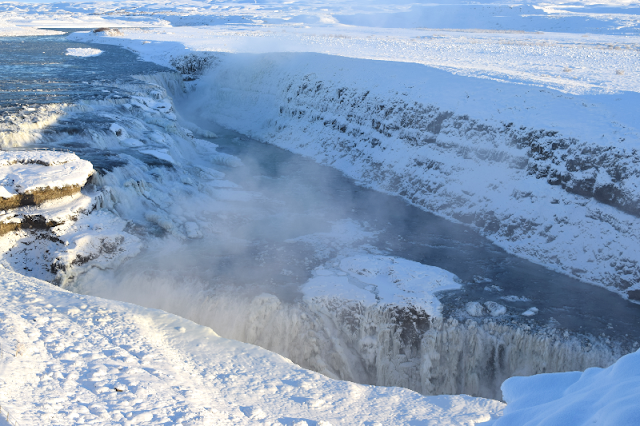 Next stop on the tour was Gullfoss waterfall is a huge two-tiered waterfall. 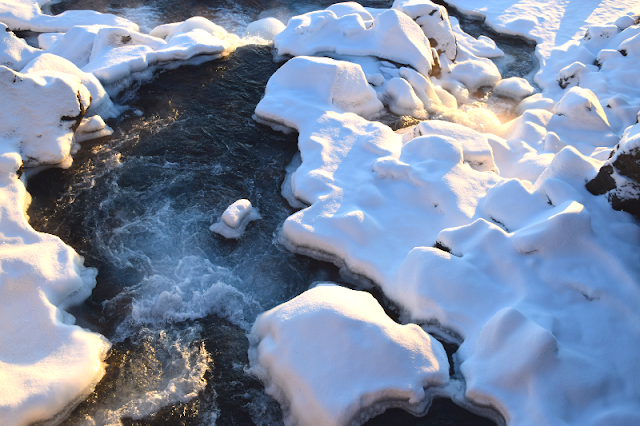 It was full of ice and snow and was a spectacular view. We walked the whole viewing path to admire the full glory though by the end we were freezing cold after being outside most of the day in the freezing cold. 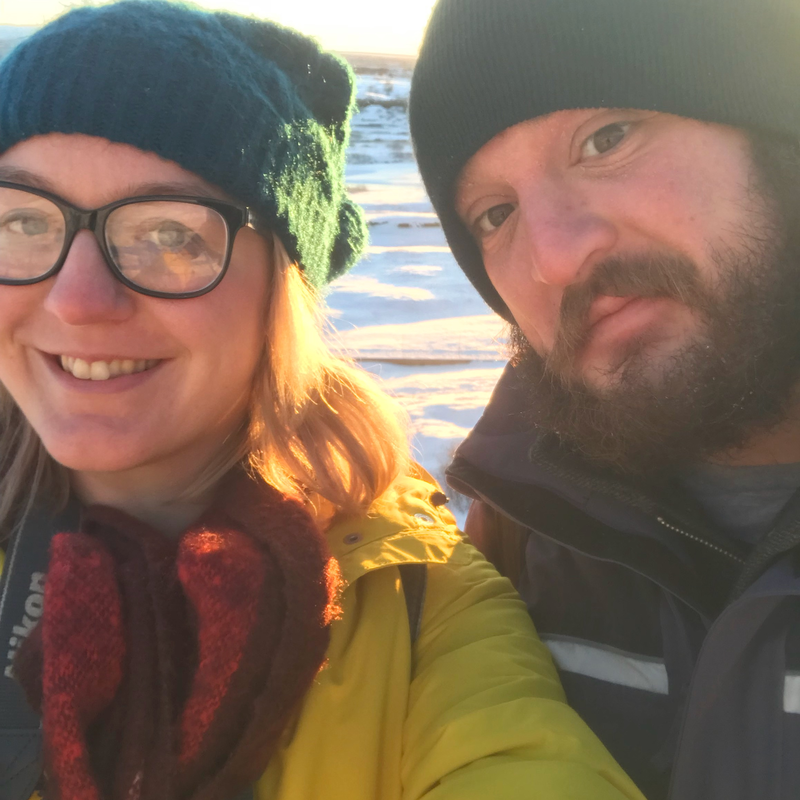 My glasses were steaming up every time I took a breath and Sam's beard had frozen and was full of icicles (which was hilarious) so we headed in to the visitor centre for a nice hot drink. I have never appreciated a hot chocolate so much before in my life and I was so ready for our last stop of the tour. 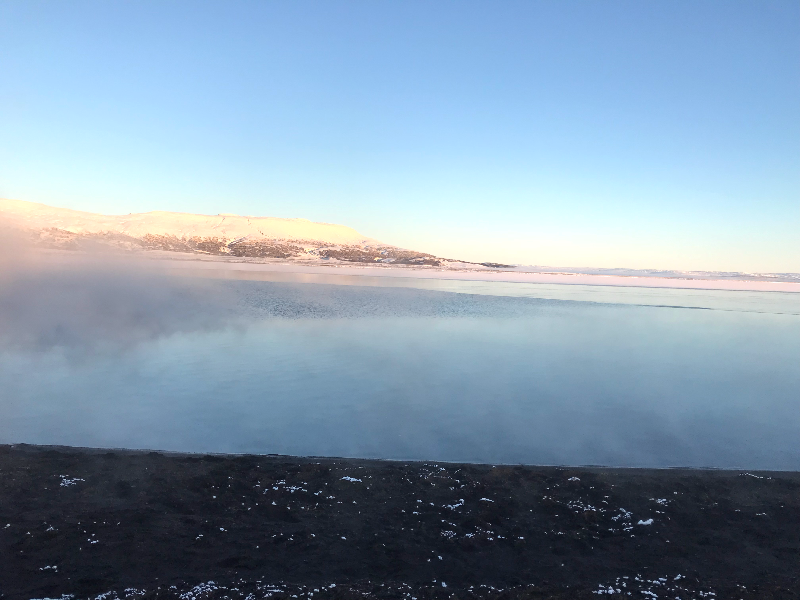 Most Golden Circle trips end after Gulfoss Waterfall unless you book extras and we ended our day with a trip to the Fontana Wellness Spa, also known as Laugarvatn Fontana. Laugarvatn Fontana is located next to a lake which you can look upon whilst relaxing in some of the steam baths. The Steam baths and hot tubs are all naturally heated by the hot springs. Before we got to go into the spa we were invited to the Geothermal bakery to watch how the Icelandic make pot baked lava bread. It was quite fascinating, they pop the mix in a metal tin covered in cling film and bake in the black sand of the hot spring for 24 hours and remove and replace with a new one at the same time each day. We got to try some of this fresh Rye bread and it was delicious and sweet. We then got to change into our swimsuits and had a few hours to enjoy the facilities. There are three interconnected indoor mineral baths, each different in size, depth and temperature. One of the hot tubs is set higher than the others so it is overlooking the lake and beautiful black sands. I spent most of my time in the hottest of the baths it was a lovely feeling and the cold air made it feel all the more refreshing (until it was time to leave the water!). There are also 3 steam baths built on top of a natural hot spring, you can hear the natural spring boiling beneath your feet and you can really smell the sulphur when you are inside. My skin felt amazing and soft after spending time in both the baths and steam room. The only negative at the spa was having to walk in the freezing temperatures in just your swimsuit to get to the changing rooms. It was -11• while we were there so you can imagine how cold it felt! It was such a long yet rewarding day, we saw so many amazing sites and really enjoyed relaxing at the Fontana Wellness Spa. I had never felt so tired and relaxed all at once and I would definitely recommend the trip if you are planning a trip to Iceland at all. Wow it looks so pretty, definitky making me edge towards booking a holiday there. The pictures just add to the idyllic place. Iceland is somewhere I have always wanted to visit. Your pictures are making me so jealous ... It is such a beautiful country! Iceland is such a beautiful place I would love to visit one day and of course go to one of the spas, though I'm not sure how I would cope walking in the freezing between places! EEK! Wow! 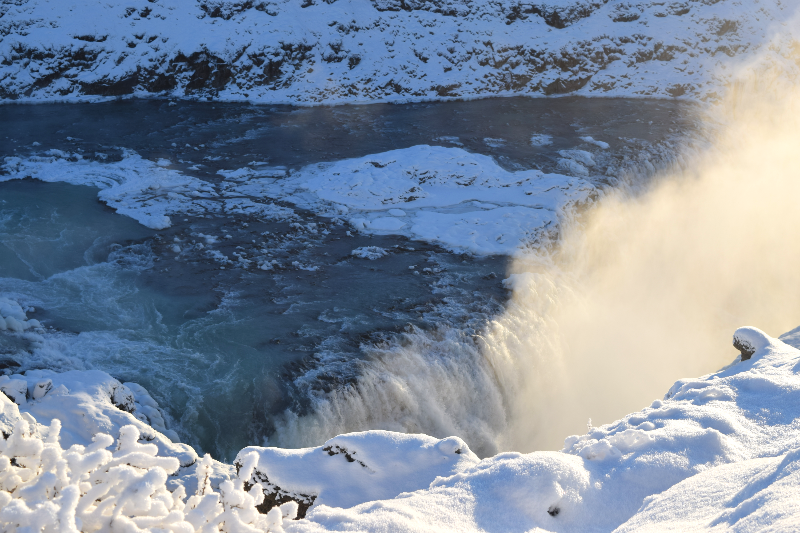 I have always wanted to go to Iceland but never more so having seen these photos! That is just amazing! Oh wow, how much would I LOVE to be there right now? I spent a grand total of five hours in Iceland once, in the airport en route from Canada to Scotland nearly 20 years ago, lol! Oh I'm so jealous, I've always wanted to visit Iceland. Looks like you're having a wonderful time. This looks AMAZING. I would love to go to Iceland and see those waterfalls. Oh wow what an amazing day! I don't think I'd enjoy the run to the changing rooms either in that temperature. Iceland is somewhere I'm dying to go so I'm off to read your other posts now. This looks so relaxing and peaceful! Definitely a good place to clear your head. I really want to go visit Iceland, thank you so much for reminding me to look into it!